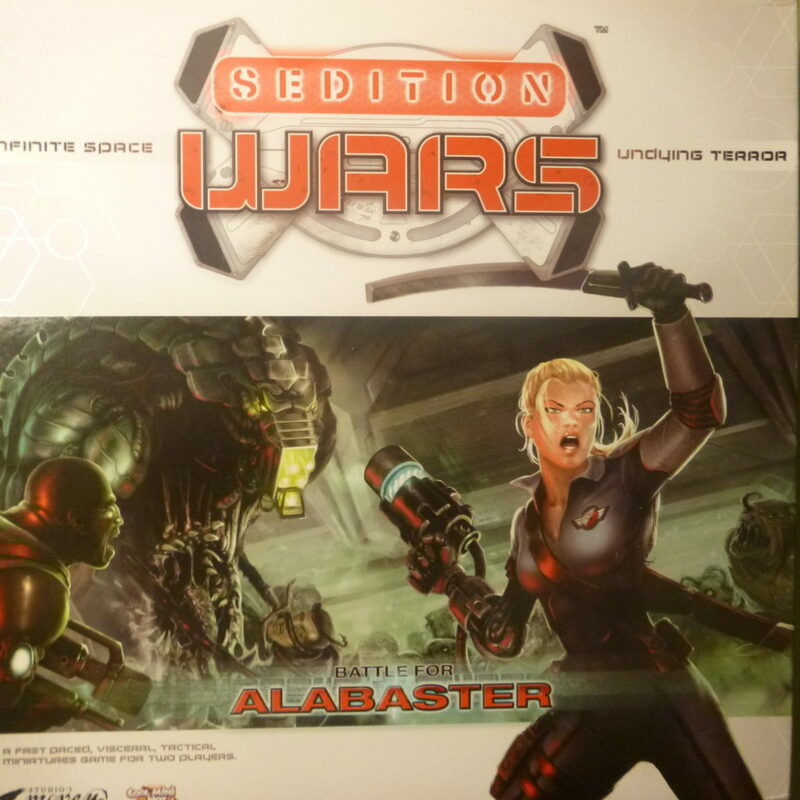 I kept on seeing Sedition Wars: Battle for Alabaster listed as an inexpensive source of great science fiction miniatures. This got my interest and after looking into it, I decided that this would be the primary source of technologically equipped human miniatures for my upcoming Science Fantasy game. I found a used copy for sale on ebay and decided to order it, despite the one word description making me nervous. It arrived today and turned out to be a good buy, for half the price of getting it new I got a copy that was opened but never played. Most importantly, all of the miniatures are assembled and in their original sealed bags. Perfect. In addition to the core rules, there were two color print offs for new campaigns. The sealed painting DVD. How will it’s teachings compare to what I’ve been learning online? What’s this? All of the miniatures sealed in the original bags! These miniatures will make great characters for use in my science fantasy game. I’m excited to get modding! I’ll probably get one or two of these miniatures started in the near future. It will help my ongoing practice with faces and there are plenty here to work on. Speaking of faces – I just got my conversion kits from Victorian Miniatures and Statuesque Miniatures so I’ll be swap in heads.